This bang on trend bodycon dress is sure to elevate your look. 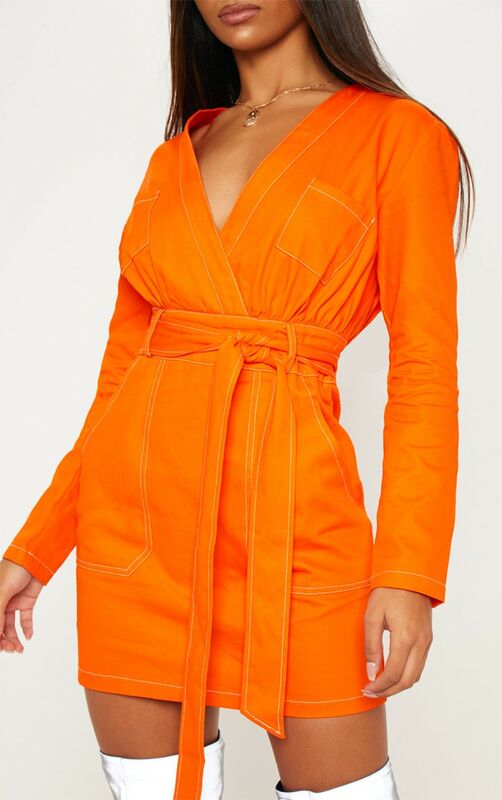 Featuring an orange material with a plunging neckline, a contrasting stitching and a tie waist. 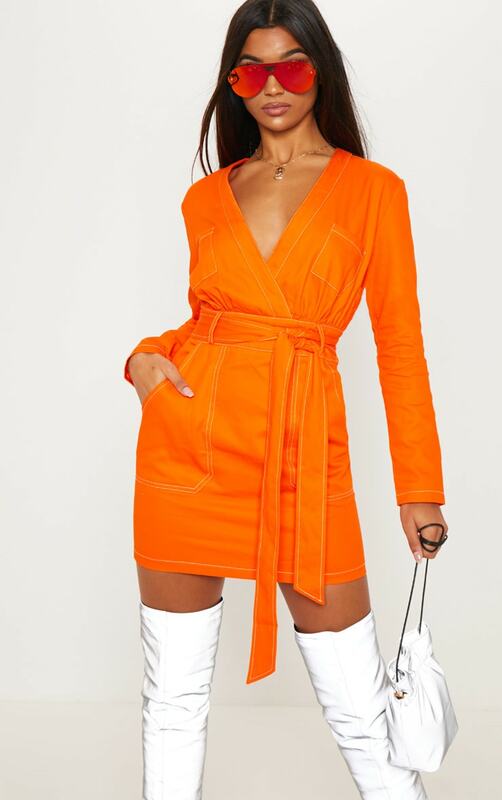 Team this with thigh high boots and a pouch bag to complete the look.